Today marks 43 years since the death of Sid James, one of the most prolific actors of Mid-Century British film and television. Born in South Africa, Sid was a boxer and a hairdresser before being bitten by the acting bug. After the war, he moved to England to pursue his acting dream, successfully as it happens as he become one of Britain’s best loved cockneys and starred in many films and TV shows. From appearing in films by the legendary directors Alfred Hitchock and Powell & Pressburger to classic Ealing comedies, it was radio then TV that would transform Sid into a household name once he started working alongside Tony Hancock (strangely, Sid grew up on Hancock Street in Johannesburg). It’s been said that Hancock was unhappy with the increasing attention that Sid was getting (Hancock considered himself the only star of the show) so ended the double act. Whilst Sid may have been upset by this, it led to him taking the lead role in his own TV shows but it was the Carry On film series that was to establish the actor and leave a legacy of work that we still remember him for to this day. 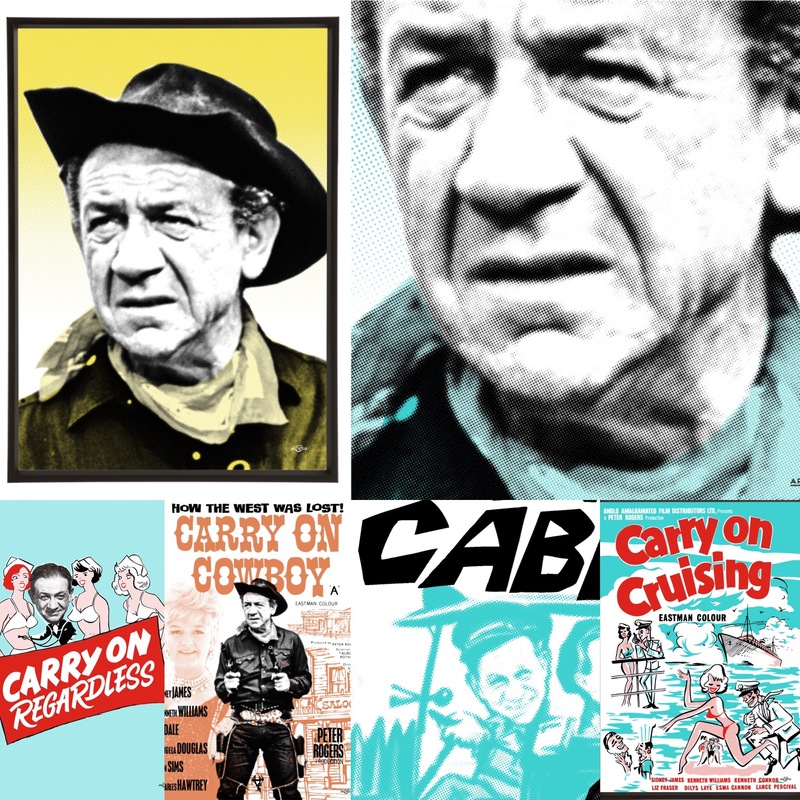 Sid’s first appearance in Carry On Constable was followed by 18 more Carry On films, including Carry On Regardless, Carry On Cabby, Carry On Cruising, Carry On Cleo, and Carry On Cowboy which was his personal favourite apparently as he got to use an American accent. Sid became the paternal figure of the Carry On family and once he died of a heart attack at the age of 62 while performing on stage, the films never recovered their momentum or audience figures. His craggy “Cor Blimey” persona evolved through the Carry On films and, despite passing on this day back in 1976, each new generation of TV audiences will continue to discover his infectious laugh and perfect comic timing for many more years to come. 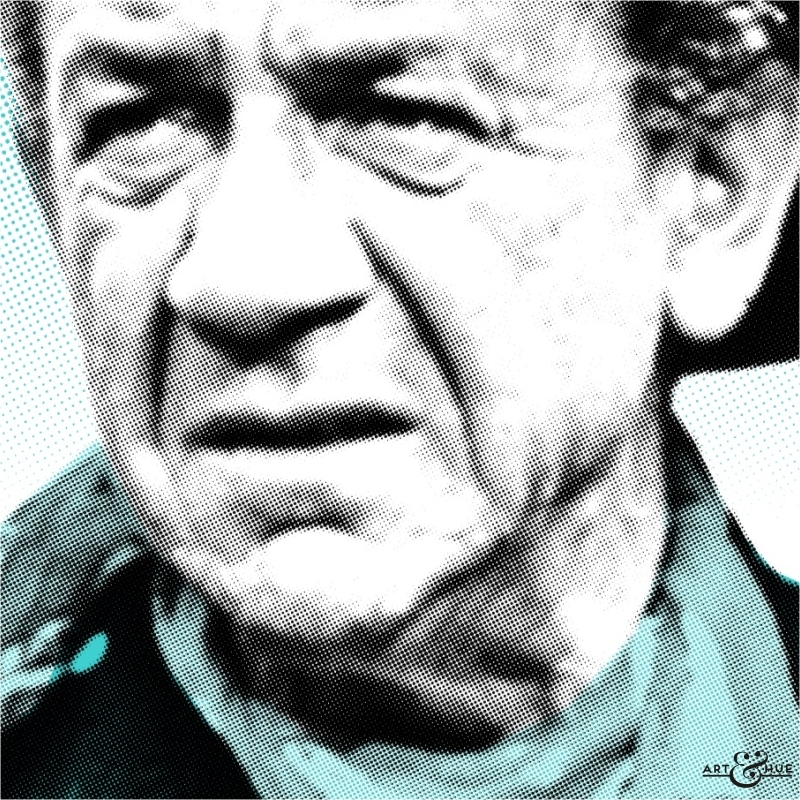 Sid James, 8 May 1913 to 26 April 1976.